Another month, and another exciting new release from Takom. This time, they've brought us not one, but three new kits of the French AMX-13 which, up until now, was only available as an old, and pretty basic offering from Heller. A newly tooled release of the subject is very welcome, so let's get some info on the tank itself, before we have a closer look at what's in the box. 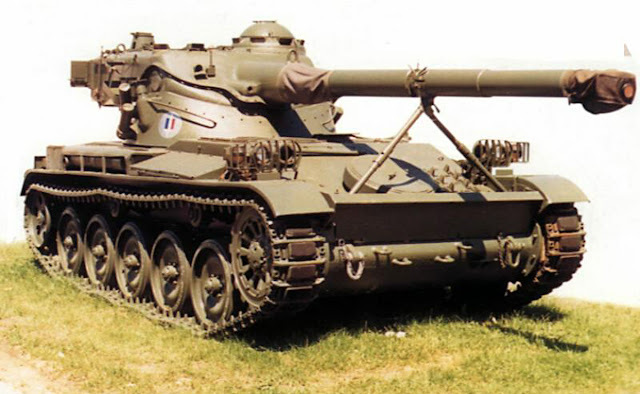 The AMX-13 was never a star like the T-55 or Chieftain, but it was a real workhorse of the Cold War period, serving with the French Army from the 1950's until it was finally phased out in the 80's. It's certainly a distinctive tank thanks to the use of a novel oscillating turret, meaning the entire upper turret and gun would elevate as a single unit. 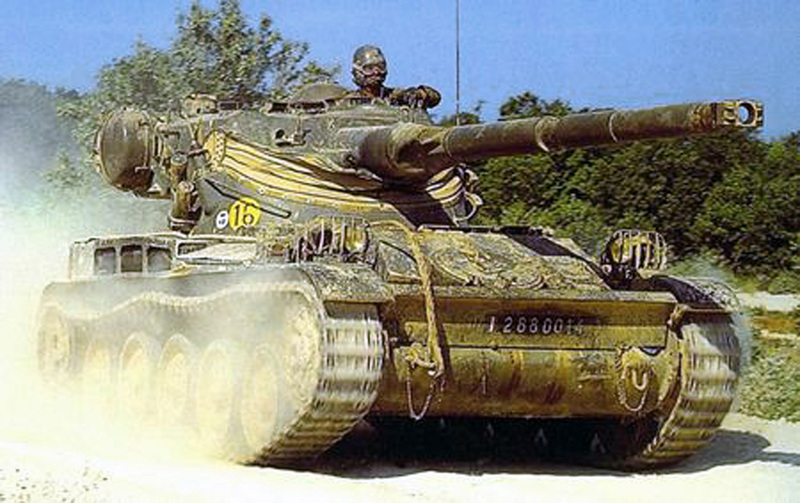 In addition to France, the tank was exported to over 25 countries around the globe. As a result of this widespread export, the AMX-13 saw its fair share of combat, notably serving with the Israeli Army during the Six Day War of 1967. 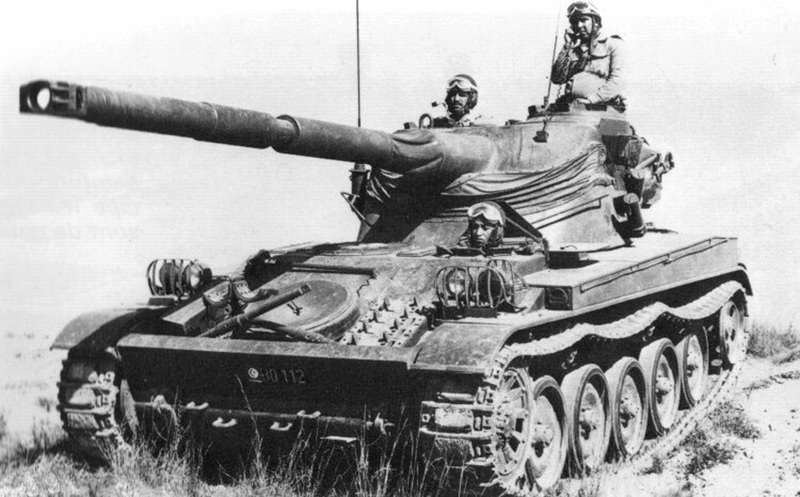 AMX-13's also took part in the Suez campaign with the French Army and fought in the Indo-Pakistan war and in Lebanon. 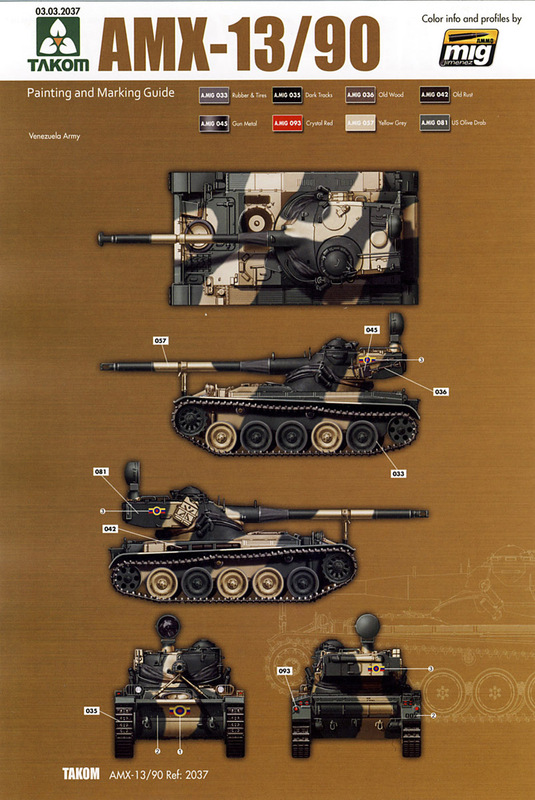 As a result of its long service life, and multiple operators, The AMX-13 went through many upgrades and modifications over the years, and Takom has chosen three great examples for their releases. 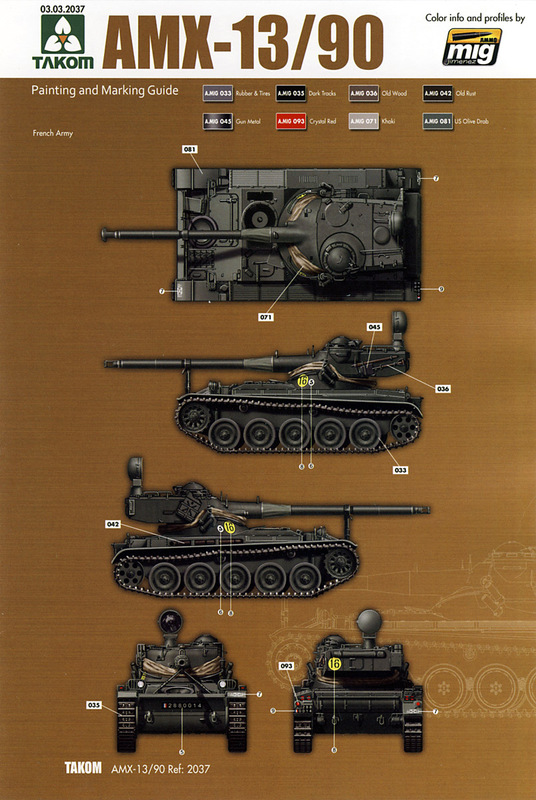 We're getting the AMX-13/75 with its 75mm main gun, a 75 equipped with an SS-11 ATGM launcher fitted to the barrel, and the one we're looking at here, the up-gunned AMX-13/90 fitted with the 90mm F3 main gun. So, on to the kit, which arrives in a smallish box, but there's still plenty packed inside. The main parts are split over 13 sprues, moulded in a mid-grey styrene, along with a separate lower hull and turret, and 10 sprues of (very small) individual track links. That's 408 parts in total (180 of which are the tracks), plus a soft vinyl dust collar for the turret and a sheet of PE detail parts. All the sprues are individually bagged to keep them safe. First up we've got the main wheels with just two per sprue, along with the suspension arms and a pair of return rollers and their mounts, only four of which are needed for this version, so you'll have some spares. The main wheels feature separate road tyres and the detail looks like a good match for the real thing, although you could add the weld beads around the rim. This has the main upper hull, The lower half of that characteristic oscillating turret, the fenders and the cupola. There's some beautifully fine detail moulded on the upper hull plate, with all the panels and bolt heads clearly defined. Unfortunately, there are no parts to fit below the engine vent opening and, even though there's a very fine PE mesh screen that covers the aperture, you may still be able to see through. Unless you scratch build something on the inside, it would probably be best to paint the inside of the hull in black, so at least it's all in shadow. You get clear vision blocks for the cupola, but there's no internal detail in the turret so if you decide to leave the hatch open, it would be best to fit a figure to hide the empty interior. Here we've got more hull and turret details, along with the main gun. This has been moulded in two vertically split halves, which, of course, means a seam line to clean up. The canvas cover at the base of the barrel is moulded in place. Unusually, Takom has also moulded the muzzle in place with the main barrel, which at least keeps everything properly aligned. A metal barrel and separate muzzle would have been nice, but would have also, undoubtedly, pushed the price up. More hull and turret details, including the gun travel lock, the exhaust and the spare road wheel. In common with all the sprues here, everything is very cleanly moulded, with no flash, and any ejector pin marks have been restricted to hidden areas. There are some seriously tiny parts on this sprue and you'll need to take care when removing and attaching these parts to avoid damaging and/or losing them. Two duplicate sprues holding the drive sprockets, fuel cans, headlights and various other brackets and handles. 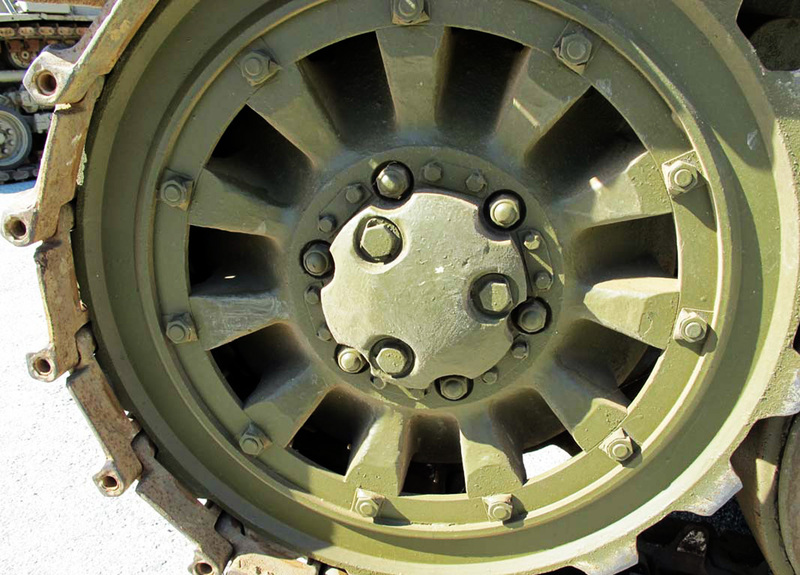 Again, like the road wheels, the sprockets have good detailing and look pretty good compared to the originals. Just the two halves for the idlers, and a couple of hull details on these two sprues. This is the clear sprue and contains all the lenses for the headlights, and the large turret mounted spotlight. There are also the vision blocks for the cupola. Now we get on to the dreaded indi track links. These aren't workable, and will need to be glued, then wrapped around the running gear before they set. Ten strips of links are supplied, with 18 per strip, giving you a total of 180 links. The instructions recommend 86 links per run which will leave you eight spares if you lose any (they are small). The detailing on the links is very good and features drilled-out end pins, which is correct to the original. Last of the main parts are the three individual components. The main hull has some nice detailing, including the underside. The sides were very slightly warped inwards on my example. They should pull straight once the upper hull is fitted. The upper turret is also well detailed with subtle weld beads on the sides. Unfortunately, it's also got a rather inconveniently placed moulding pip in the centre of the roof, which will need sanding off. 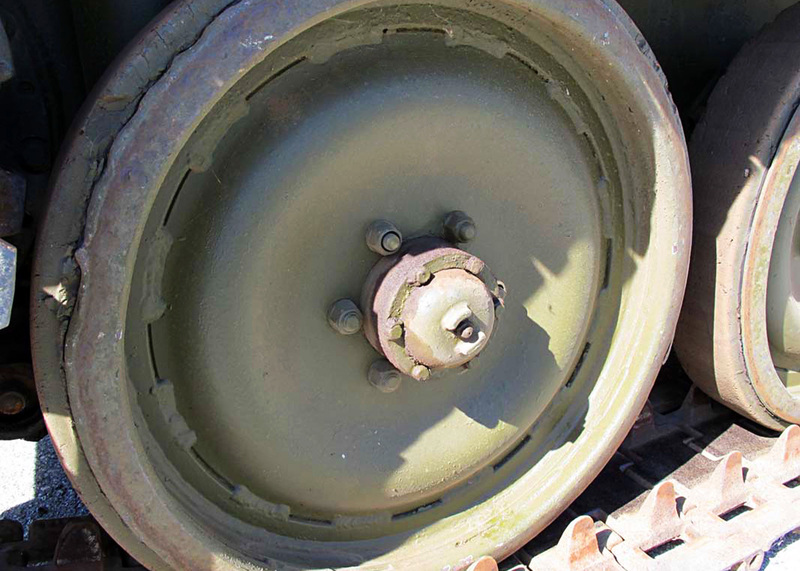 The last part is the dust collar which covers the area where the two halves of the oscillating turret join. This is moulded in vinyl and looks realistically wrinkly. It won't, though, allow you to pivot the upper turret. It would have been nice to get a second dust collar so the gun could be set in an elevated position. You can, however, choose to model the turret without the collar, which will allow the gun and turret to pivot like the real one. To compliment the plastic, Takom has included a 26 part PE fret, which supplies the engine grills, headlight protectors and other small details. The mesh on some of the grills is about the finest I've ever seen on a PE part, and should go some way to hiding the lack of internal detail on the engine vent mentioned above. 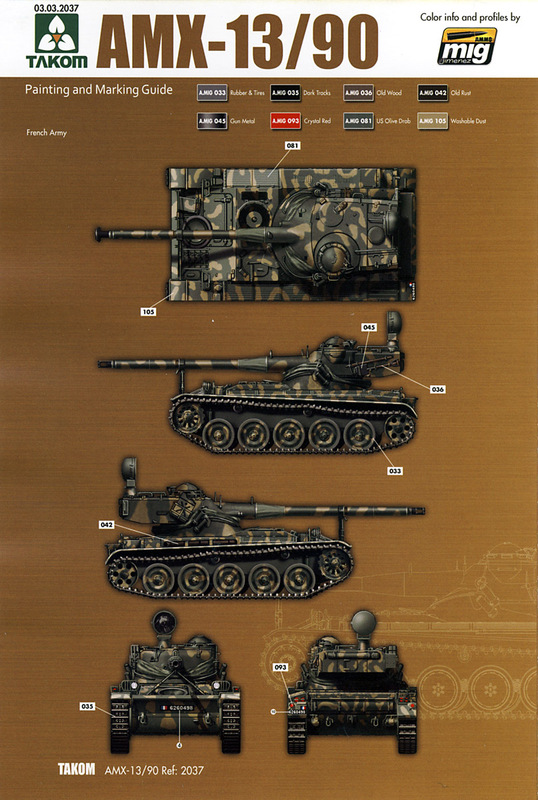 The instructions come in Takom's standard landscape format booklet, with 3D style illustrations over 28 steps. It's a pretty routine assembly sequence, starting with the lower hull and running gear, before moving on to the turret and final details. There are a couple of steps were you need to remember to open up holes in the hull and turret to allow further parts to be added. The only optional step in the build is whether you decide to add the dust collar or not. Lastly, we've got a small decal sheet which appears to be well printed and in register. From past experience, Takom's decals go down well with the addition of a little setting solution, so I don't foresee any problems here. And speaking of markings, we've got just three choices included, courtesy of AMMO as usual. Two French examples, one in green and one in a green/sand camo, and one example from the Venezuelan Army, which will lend a bit of Latin American flair to your collection. Colour call-outs are, predictably, only for AMMO paints. All in all, this looks like a great little kit from Takom. A little more option for posing the gun would have been nice, given that it's such a characteristic feature of the AMX-13. But, apart from that, the rest of the kit looks to be well detailed, and very buildable, something I'll be checking out for myself in due course. Stay tuned.